Home > Design > What’s a Vector File? 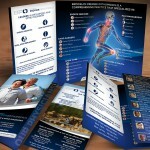 There are many times when I’m asked to design a business card or brochure for a company and I’ll ask for their logo to use on their collateral material. Usually what they send back is a tiny JPG file of the logo off their site. I’ll immediately tell them that this won’t work because it’s not at a high enough print resolution (this will be a whole other article, but in a nutshell files for print and files for digital media need to be created at two different resolution sizes). Then I’ll ask “do you have your vector file?” Usually the response is “my what file? ?” So this article will briefly explain what a vector file is. A vector file is constructed using mathematics and geometric shapes. Any professional designer should and will design your logo and other branding material in a vector format. The reason these files are created in a vector format is because since they are built with geometric shapes, you can make them as big as you want without ever getting any pixilation or blurry files. So, if I create a vector logo to be used on a business card, and then the client asks for a billboard sized logo, no problem. When your file gets blurry or pixilated, this is because your file was probably made with a raster-based program like Photoshop. What are rasters? Let’s say I have a black box. As a raster file, that black box is actually filled with a bunch of tiny dots called pixels. So, now if I take my raster file, and enlarge it, those tiny dots are forced to account for more space to fill in the gaps made by enlarging the object. This is when your object will get blurry looking, and would never fly with any professional designer. In contrast vector files are usually created with a vector-based program like Illustrator. Because vectors use geometry and not pixels to create shapes, they can be enlarged with any blurriness or pixilation. The object will remain nice and crisp. 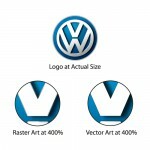 This is why when it’s time to use your logo for print or web material, you should make sure you have your vector file handy. How do I know if my file is a Vector file? The easiest way is to just ask the artist who created your logo. (This is also a HUGE reason you should have a professional design your logo, rather than make one yourself in a program like Microsoft Word. 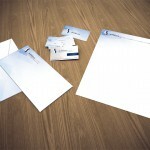 You’ll be much happier you hired a professional when it comes time to use your logo on printed materials like posters and T-shirts). If you don’t have a contact with your logo designer, try to find files that end with any of these extensions: .ai, .eps, .pdf, or .svg. Chances are these are vector files. The person (if you hired a professional) who is designing your brochure or business card will let you know whether the file is a vector or not. Or, if you can’t find your vector file (or perhaps you never had one), contact us and we can recreate your file for you as a vector file. There you have it! 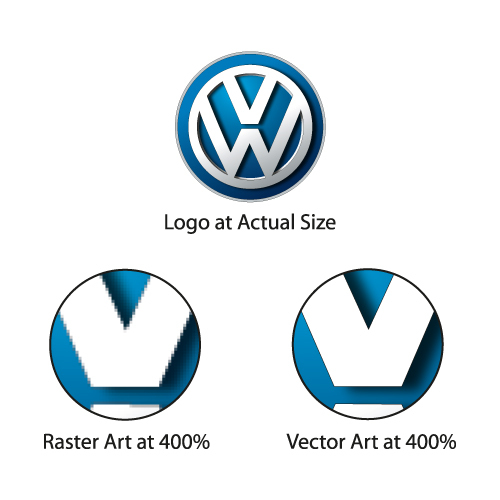 Now you know what a vector file is!